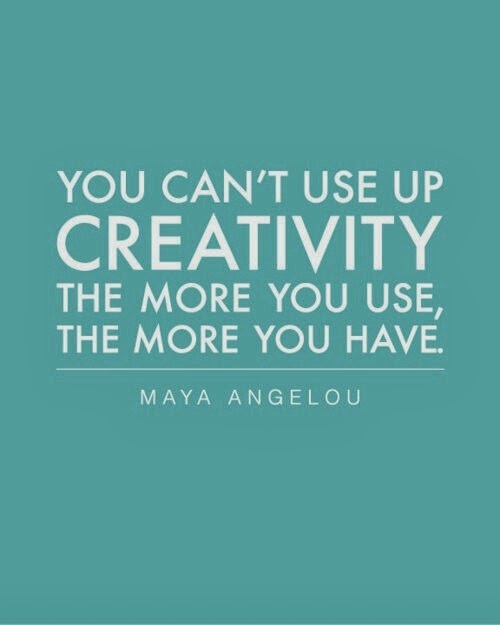 Creativity is so often seen as something instinctive or something we're born with-either you have it or you don't. Not true, as Maya Angelou points out. Creativity is a skill, and like any other skill, the more you practice it, the better you will get at it. Schedule mini creative sessions every day. Examples? Come up with a character profile using that guy who snoozes on the morning train. On your lunch break sit at the diner counter and notice what everyone is wearing. Shop in a store you wouldn't normally go in. One warning, though, be careful when you're checking people out, you don't want to look like a stalker!